Voodoo aluminum shift knob with a coating to hopefully make it less painful in the summer. 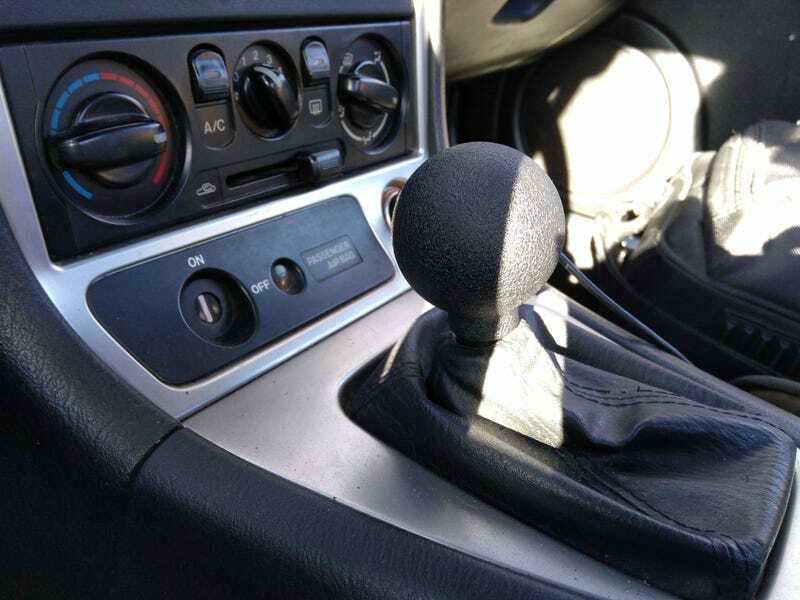 Weighs a significant portion more than my stock NA shift knob I had and sits even lower for a very short, amazingly communicative throw. I love it.